You want the best protection available for your loved ones. 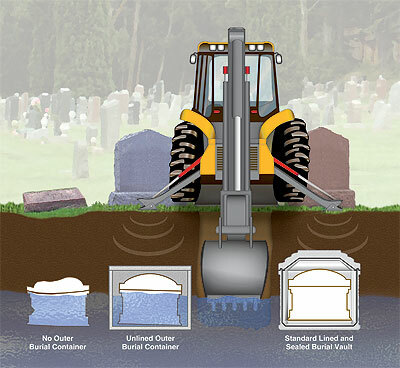 Years after you select a Wilbert® brand reinforced burial vault, you'll know that you made the right decision by choosing the highest level of protection. A burial vault is a lined and sealed outer receptacle that houses the casket. It protects the casket from the weight of the earth and heavy maintenance equipment that will pass over the grave. It also helps resist water and preserves the beauty of the cemetery or memorial park by preventing the ground from settling.